Apple in their October special event have announced the new iPad recently. This new version of the famous tablet from Apple is not named iPad 5 as expected, but will be known as the iPad air. The 'air' because this version of iPad promises to be more fast, more light and more thin than the previous ones. 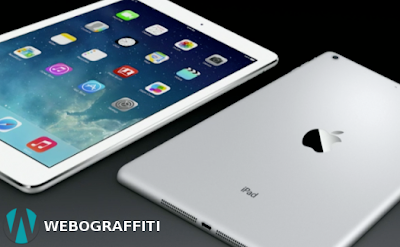 The CEO of Apple Inc., Tim Cook announced some features this new iPad is coming with. The first a few things which can be expected from this device are certainly performance and comfortable handling. The display size of iPad Air will be 9.7 inches diagonally which is same as the previous version but the thickness of the display will be 7.55 mm, the thickness of the previous iPad was 7.9 mm so this is a way more thin. iPad mini will now have retina display. Secondly, the weight of the device is also way light from the previous version. The weight has reduced to 1 lb from 1.46 lbs of the fourth generation. The prices will vary from $199 to $629 according to the memory and connectivity options as chosen. The 16GB model with 4G(LTE) is expected to be of $629. iPad mini will be starting at $399. The next big thing expected is the performance of the new Apple A7 64 bit chip. The other noticeable features iPad air is bringing is the 5MP iSight primary and high definition secondary cameras, 10 hours battery life and M7 motion co-processor. What are you expecting from these new iPads? Do let us know in the comments section below.